The Love-in-a-Mist is starting to bloom, which means it is also time for something else. We have entered Allumania, the time of year all things allium start to go bonkers. Egyptian Walking Onions send up their curly tops against the fennel. 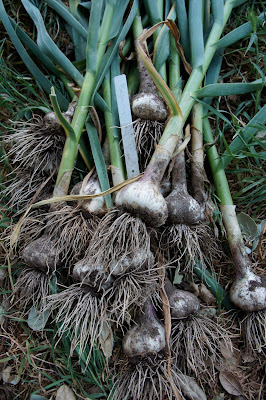 Belarus Garlic, just after harvest. It is one of my earliest-to-harvest garlics. Today's haul of Belarus garlic. Basque Turban, another very early variety, pulled a week ago and cleaned up today, ready to hang dry. And, as if you didn't need another picture of Belarus, here is a close-up. 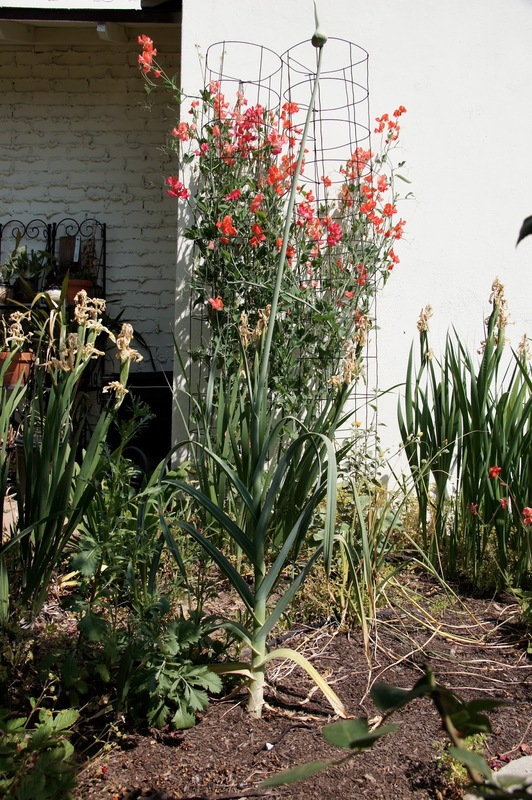 So much more garlic to come! The onions look better than ever: this is Texas Legend. 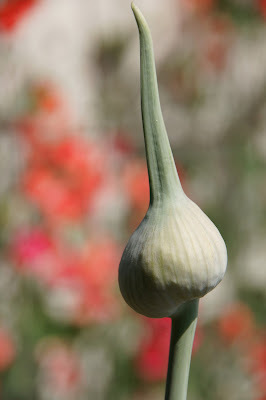 An elephant garlic sends up its scape in front of a sweet pea tower. The stinking rose, indeed. Beautiful -- my envy knows no bounds. 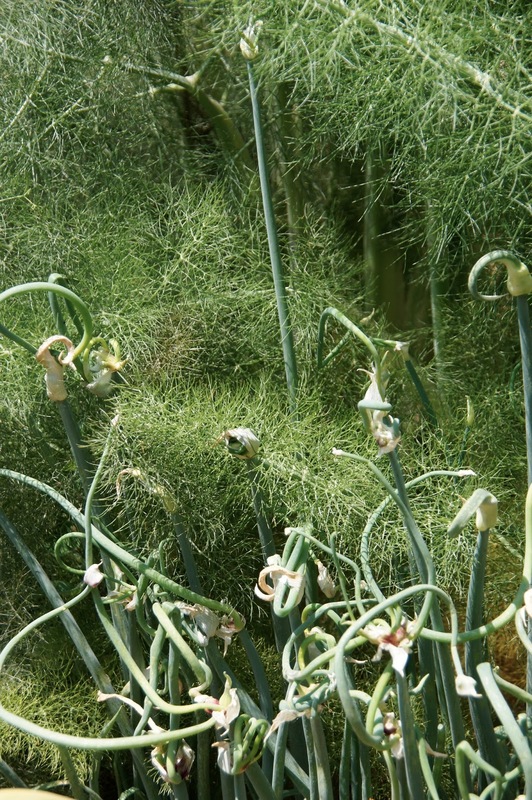 what do you use fennel for? Isn't it also a pretty aggressive plant? Thanks, AH! I'll have plenty to share this year. PA: I use it a lot! I used the seeds in sauces--I love the flavor but my husband doesn't, so I have to be more judicious than I'd like. When he's not around, I've been making the pasta with fennel-greens and anchovies that rocks my socks. Soooo good. Yes, fennel does seed everywhere, but I pull up the seedlings and toss them into salads, where they really shine. Also, they attract so many wonderful beneficial insects; I ALWAYS have ladybugs here, swallowtails, native bees, etc.